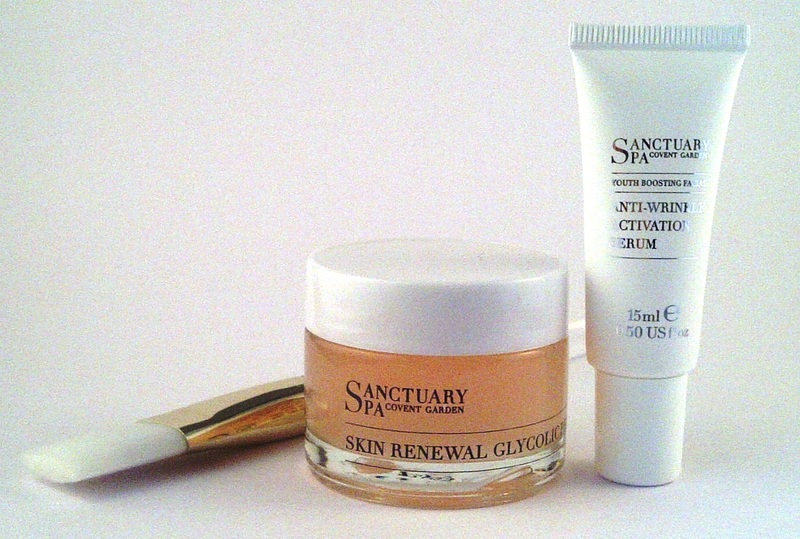 Sanctuary Spa 30 Day Youth Revolution is a Glycolic peel off mask and serum duo which promises to reveal younger, smoother skin. Straight away from the very first application skin looks smoother and glowing. After cleansing skin thoroughly apply peel to dry skin. Using the brush provided apply a thin and even layer of peel avoiding the delicate eye area. Relax for 15-20 minutes allowing mask to dry. Mask should be completely dry and not tack to the touch when ready to peel off. 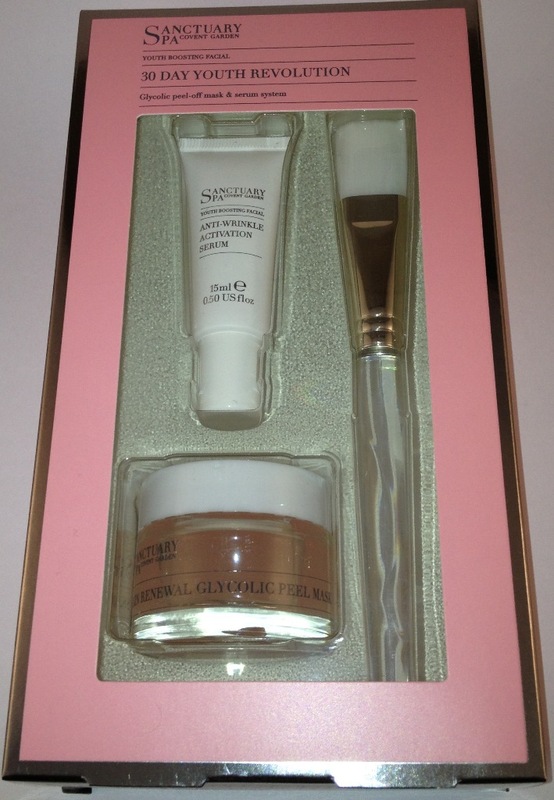 To remove, start at the base of the face and gently peel off mask to reveal fresh, smooth skin. Rub off any excess. Immediately after apply a pea sized amount of the Anti-wrinkle Activation Serum. Use peel twice a week but not on successive days. 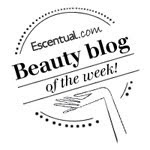 SPF should be worn every day when completing this treatment to protect newly revealed skin. This at-home facial system was really pleasurable to follow. It was so easy to do and it never felt like a chore. I looked forward to peel day as there is something immensely satisfying applying a sticky, gooey gel, feeling it tighten and dry into a shiny, clear mask and then peeling it off and seeing all the dead skin cells coming away to reveal softer, smoother skin. It took me back to my school days when we would apply glue to our hands and then spend the rest of the day peeling it off in lessons! Happy days. The Anti-wrinkle Activation Serum smells nice - fresh and citrusy. It is simple to add this into the daily skincare routine. After the first use of the peel I could see that my skin was brighter and smoother instantly and as the days passed into weeks I really noticed a difference in my complexion. It seems more even and glowing, the fine lines are almost undetectable now and I have noticed an improvement in my blemishes. I have had some spots on my cheeks that have been there for an age and this system made these disappear. My skin looks so much better and almost flawless that the amount of foundation that I need to use has dramatically decreased.